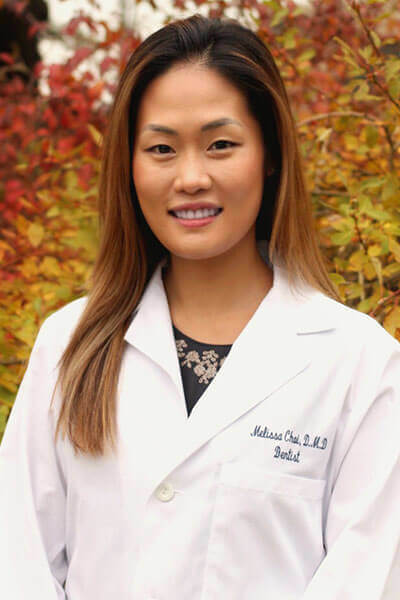 Melissa Choi, DMD graduated with honors from the Boston University School of Dental Medicine. Following graduation, she accepted a General Practice Residency at Long Island Jewish Medical Center. Dr. Choi’s top priority remains in providing the highest quality of dental care, treating every patient with her gentle touch in a thorough and efficient nature. She is Invisalign certified and regularly attends continuing education courses to stay current with the advancements in dentistry. Dr. Choi maintains membership in a number of accredited and respected dental organizations including The New York Dental Association, the Academy of General Dentistry, and the New York State Dental Association.